Myanmar Gazette added 32 new photos to the album: Myanmar Gazette April 2019. 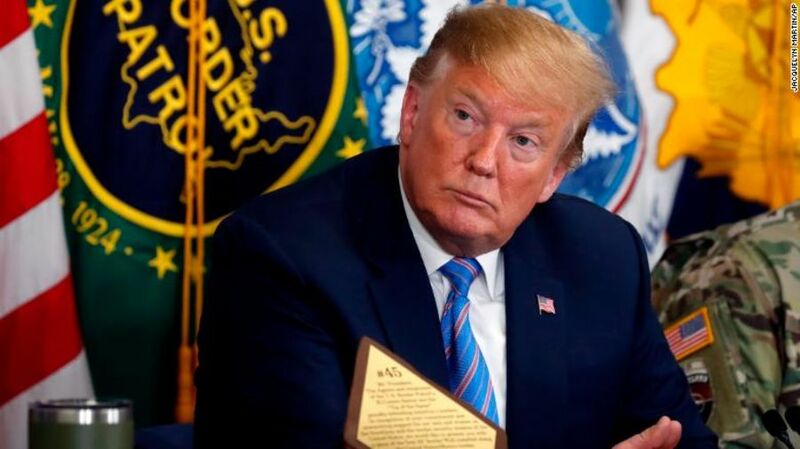 Declaring “our country is full,” President Donald Trump on Friday insisted the U.S. immigration system was overburdened and illegal crossings must be stopped as he inspected a refurbished section of fencing at the Mexican border. QUITO (Reuters) – President Lenin Moreno of Ecuador told radio stations on Tuesday that WikiLeaks founder Julian Assange has “repeatedly violated” the terms of his asylum in the Andean nation’s London embassy, where he has lived for nearly seven years. Nielsen was the most aggressive DHS secretary in history. It wasn’t enough for Trump. Homeland Security Secretary Kirstjen Nielsen resigned Sunday night after a relatively short tenure as arguably the most aggressive secretary in the department’s short history — a stint that will most likely be remembered for the “zero tolerance” prosecution policy of late spring and early summer 2018 that resulted in the separation of thousands of families attempting to cross at the US-Mexico border. 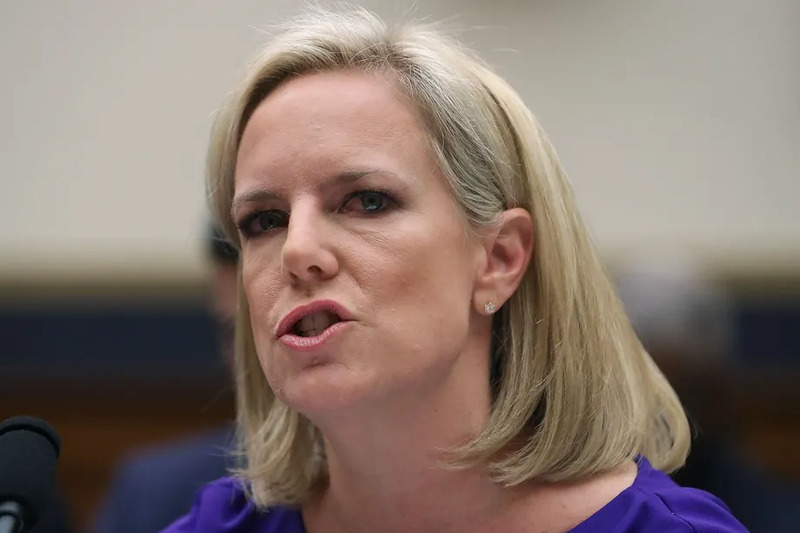 But having the most hawkish DHS secretary in memory appears to not have been enough for Trump, who is enraged over the number of Central American families and asylum seekers coming into the United States. Getting the right amount of vitamins and minerals can lower your risk of an early death, but they should come from food instead of supplements, a study published Tuesday suggests. Researchers from Tufts University say they found no association between the use of dietary supplements and a lower risk of death. The study analyzed data from a larger health and nutrition survey conducted between 1999 and 2010. More than 30,000 participants ages 20 and older answered questions about dietary supplement use. Results showed people who got adequate amounts of vitamin K and magnesium lowered their risk of early death, and those who got enough vitamin A, vitamin K and zinc had a lower risk of death from cardiovascular disease. However, those benefits were only earned when those nutrients came from food, not supplements. Paris’ Notre Dame Cathedral has been saved after the roof collapsed Monday as a massive fire ripped through the structure. Firefighters say the fire has been largely extinguished. The area surrounding the cathedral was evacuated in case the structure fell. A French Interior Ministry official had previously said firefighters may not have been able to save the cathedral. It’s around the size of a rabbit’s heart, but it’s still been called a breakthrough. One day, scientists hope, we’ll be able to manufacture hearts that can be transplanted into humans. A team of researchers at Tel Aviv University in Israel has brought that goal closer to a reality. The team successfully 3D-printed a heart using human tissue and vessels, according to their paper published in Advanced Science on Monday. 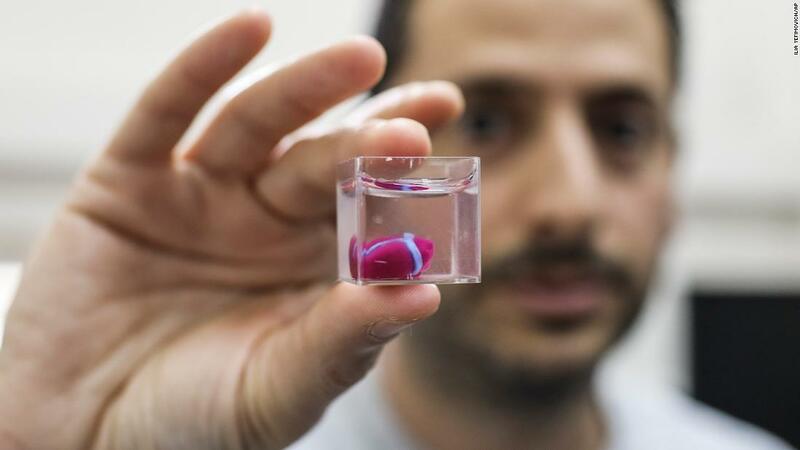 While the heart isn’t full-sized — it’s about as big as a rabbit’s heart — it still marks a breakthrough, the team says. I protected the identity of Satoshi. It’s time, though, that this be put to bed. Imposters claim to be him, we are spending time and energy in search of him – It’s a waste. Every day I will narrow down the identity of Satoshi until he reveals himself, or I reveal him. When the Taliban seized power in Afghanistan in 1996, they imposed an extremist version of Islamic law across the country. They tried to erase all traces of a rich pre-Islamic past and ordered the destruction of ancient statues, including the world’s tallest standing Buddhas. Those memories are still alive for millions of Afghans. And now they have become present concerns, as the US and Afghan government negotiate with the Taliban for a deal that could see them return to power in Afghanistan. The BBC’s Shoaib Sharifi visited the National Museum in Kabul where a team are rebuilding some of the ancient Buddha sculptures that were destroyed by the Taliban.